To claim this profile, please confirm you are Dominique Moreno. To follow this profile, please let us know your relationship to Dominique Moreno. RESULTLoss Girls varsity basketball @ Indio. The Desert Hot Springs varsity basketball team lost Thursday's away conference game against Indio (CA) by a score of 65-18. RESULTLoss Girls varsity basketball @ Coachella Valley. The Desert Hot Springs varsity basketball team lost Tuesday's away conference game against Coachella Valley (Thermal, CA) by a score of 65-21. RESULTLoss Girls varsity basketball vs. Banning. The Desert Hot Springs varsity basketball team lost Thursday's home conference game against Banning (CA) by a score of 64-30. RESULTLoss Girls varsity basketball vs. Yucca Valley. The Desert Hot Springs varsity basketball team lost Tuesday's home conference game against Yucca Valley (CA) by a score of 83-9. RESULTLoss Girls varsity basketball @ Twentynine Palms. The Desert Hot Springs varsity basketball team lost Thursday's away conference game against Twentynine Palms (CA) by a score of 71-5. RESULTLoss Girls varsity basketball vs. Cathedral City. The Desert Hot Springs varsity basketball team lost Tuesday's home conference game against rival school Cathedral City (CA) by a score of 82-19. 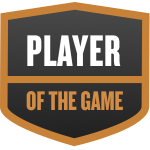 Dominique was selected the Player of the Game in the basketball game against Desert Mirage on Thu, Jan 10 2019. Congratulations to #3 Dominique Moreno for being selected the Desert Hot Springs Girls Basketball Player of the Game. Dominique's basketball stats have been updated for the loss @ Desert Mirage. RESULTLoss Girls varsity basketball @ Desert Mirage. The Desert Hot Springs varsity basketball team lost Thursday's away conference game against Desert Mirage (Thermal, CA) by a score of 42-30. Dominique's basketball stats have been updated for the loss vs. Indio. RESULTLoss Girls varsity basketball vs. Indio. The Desert Hot Springs varsity basketball team lost Tuesday's home conference game against Indio (CA) by a score of 64-19. Dominique's basketball stats have been updated for the loss vs. Coachella Valley. RESULTLoss Girls varsity basketball vs. Coachella Valley. The Desert Hot Springs varsity basketball team lost Thursday's home conference game against Coachella Valley (Thermal, CA) by a score of 51-6. Dominique's basketball stats have been updated for the loss @ Banning. RESULTLoss Girls varsity basketball @ Banning. The Desert Hot Springs varsity basketball team lost Tuesday's away conference game against Banning (CA) by a score of 77-18. Dominique's basketball stats have been updated for the loss @ Artesia. RESULTLoss Girls varsity basketball @ Artesia. The Desert Hot Springs varsity basketball team lost Saturday's away non-conference game against Artesia (Lakewood, CA) by a score of 48-4. Dominique's basketball stats have been updated for the loss @ Yucca Valley. RESULTLoss Girls varsity basketball @ Yucca Valley. The Desert Hot Springs varsity basketball team lost Thursday's away conference game against Yucca Valley (CA) by a score of 82-11.